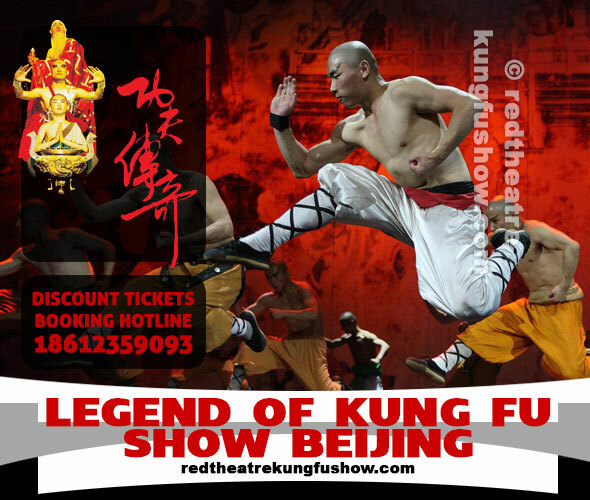 Red Theatre | Beijing Legend of Kung Fu Show: Book Tickets! We guarantee the cheapest discount show tickets, from 140RMB/CNY. Just call us or use the online booking form. Please, reserve as soon as possible to make sure your seats are available! "The Legend of Kung Fu brought Beijing modern theatre into a new era"
A thrilling modern day theatrical production, bringing together traditional Chinese martial arts and a vibrant show atmosphere. Performed daily at the widely acclaimed Beijing Red Theatre. 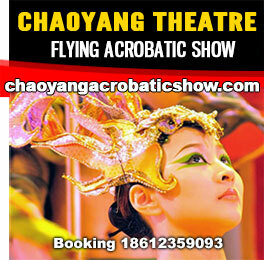 Chaoyang Theatre presents The Flying Acrobatic Show. Hold on to your seats to enjoy the best acrobatics Beijing has to offer, with a discounted price of course. Find out more at the Chaoyang Theatre website. Dose of Beijing culture through the entertaining Peking Opera. Liyuan Theatre hosts classic performances full of fun and exitement. Reserve your discount tickets. 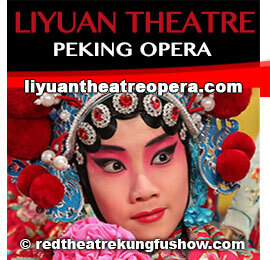 Find out more at the Liyuan Theatre website.